This countdown lists out the Top 5 Best Front Loading Washing Machines in India. Last, we listed out the Best Top Load Washing Machines. Front Load washing machines are considered better than Top Load ones. Owing to this they are costlier too. Front Load washing machines clean better, are more energy efficient and save more water. Top Load machines can be difficult to clean and dry, although nowadays many companies have included self-clean cycles for this. Front Load Washing machines require you to bend which may not be liked by many. But, Front Load washing machines can be stacked one over the other to save space in apartments. Some Front Loaders have a pause button to throw in any left-over cloths. With a higher initial investment Front Loading waching machines can give higher savings on water and electricity bills. This post will help you make an informed decision. 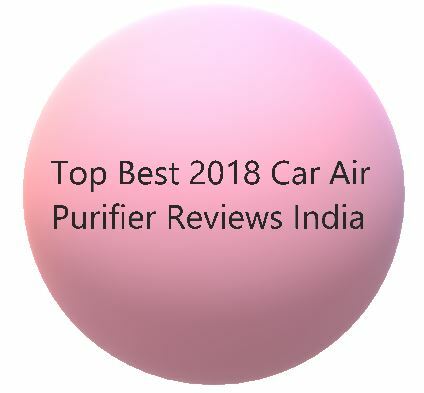 This is the USP of AIRswacch- All Intelligent Reviews. This IFB washing machine can be crowned the Best Front Load Washing Machine. IFB makes world-class appliances and this is no exception. The washing machine looks fully loaded with features. The body is solid especially the wash drum steel quality is exceptional. We witnessed it ourselves that even after 4 years of usage in areas of extreme brackish water, it did not rust! Excellent fabric cleaning and prevention from wear and tear due to unique crescent shaped drum and Air Bubble wash system. Pause button to add/remove cloths in the middle of the run. Pre-wash to soak clothes and rinse off dirty water. Moisture can make the display fluctuating, but it can be set right with proper drying and exposure to sun-warmth. Not really a Con, but the machine has to be properly balanced for its door to close/open and for minimum noise. IFB washing machines come with 4 years comprehensive warranty which is very useful as parts like PCBs are replaced free of cost if needed. Note– IFB Customer Service is usually good, but check and take feedback from old customers first. Avoid company representative’s insistence to buy IFB washing powder and Descaler as you can do away without them. This Bosch washing machine is the Best Front Loading Washing Machine in India. This is best if you are looking for good quality washing and only basic features. Intelligent load sensing feature to use as much water as needed for a given load of clothes. Saves water, the most valuable natural resource. Reload/Pause feature to Add or remove laundry in between cycles. It removes lint/ toxic residues and keeps the drum disinfected to provide a better washing result. Ideal for low water pressure prone use case. Basic washing machine with few add-on specs. Note- Request Bosch customer care directly for installation rather than relying on Amazon. Use this without a stand to minimize vibrations. This Samsung washing machine is the Best Front Loading Washing Machine in India from Samsung. Inverter motor which is efficient and less prone to damage from high voltage surges. Drying is not up to the mark. Wash cycles for cotton clothes may take 2-3 hours. Note- Use this without a stand to minimize vibrations. How can LG be left out when it comes to consumer electronics showdowns? LG Front Loading washing machines do not sell as much as IFB and now Bosch followed by Samsung lead the race. LG along with Samsung are the leaders for Top Loading washing machines though. No doubt, LG washing machines are among the Best Front Loading Washing Machine in India. Inverter motor which is efficient and less prone to damage from high voltage surges. Machine is very silent. Delay End feature enables you to program the machine to finish its job by a set time. LG Steam helps remove house dust mites, pet and pollen allergen and sterilizes bacteria in clothes requiring extra care. Water proof touch panel is a plus especially in monsoons. Auto-resume on power restore and shows the correct time left in the cycle. The Smart Diagnosis Technology error-monitoring system detects and diagnoses 85 errors. It results in lesser number of support calls and saves money. Heavy body which means good build quality. No Spin Only option. There just Rinse and Dry option present. Note- Check Rat Mat is included or not at time of purchase. BPL was once the only company available in India apart from Onida and Godrej. Now, that LG, Samsung and IFB have captured the market, you don’t see BPL much. Still, you won’t get such a nice washing machine at this price, that’s guaranteed. A front loading washing machine at the price of a top loading one is incredible! Not Available on Flipkart at the time of writing, check all models available. 8 wash programs, copper motor, belt drive. Capacity – 6.5 Kg suitable for small family of 3-4 members. There’s 2 year warranty on motor. Service and After sales support can be your only major complaint. Warranty on product and motor is too low. Note- For installation contact customer care team at 8880301111 or email to us at “wecare@bpl.in” with your contact number, Order ID and copy of Invoice.